Imagine you are entrusted with a great treasure. A stunning painting. A perfect aria. A pristine waterfall. The word of God. You want to protect the treasure, so you wrap it in ritual and reverence. You put it in a room that is only open to the public during working hours. In a performance hall with perfect acoustics, where tickets cost hundreds of dollars. At the end of a trail only accessible by foot, miles from the nearest parking lot. In a shroud of rhetoric and rules about when to stand and when to sit and what hat to wear. These rituals give the treasure power, but they also block direct access to it. Over time, treasure-keepers become more and more invested in the rituals around the treasure, believing that the rituals not only keep the treasure safe but provide the one true way to experience it. To take the treasure out of the wrapper would be dangerous and a fundamental distortion of its value. The treasure becomes like a mummy deep in a crypt, bound and gagged by its protectors. Silenced. Deadened. Regular people see the locked door but not the shining glory within. The rhetoric around the treasure gets bulkier, its light dimmer. People stop caring that there was something powerful there in the first place. Someone hands them a map, and they throw it out. Too much work. Too expensive. Not for me. Not worth it. 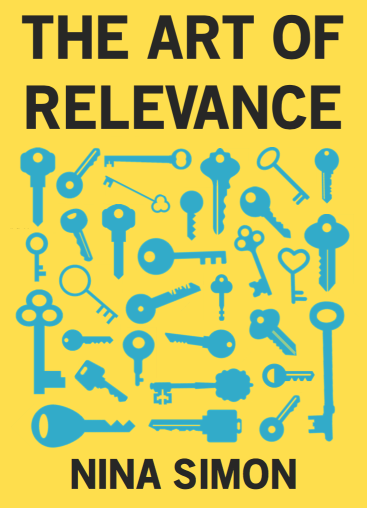 Relevance is about making it worth it. Flinging open the door to the treasure. Bringing darkness into light. What does it feel like to unlock that door? To find out, practice empathy. Put yourself in the shoes of the outsider beyond the door. You put the key in your pocket. Maybe someday you’ll use it. Maybe never. You think about it. You gather the courage. You answer honestly.